When I learned that my friend Amy from The Paleo Cupboard was working on a cookbook, I knew that it was going to be amazing and started counting down the days until it came out. I got an advance copy and oh mama, this book is packed full of 140 recipes, 8 weeks’ worth of meal plans (complete shopping list included) and a ton of mouthwatering photos. I did one quick flip through the book and bookmarked Taco Soup, Cajun Chicken Pasta, Crepes, and a handful of desserts. Seriously, you are going to want to grab The Paleo Cupboard Cookbook the minute it comes out! 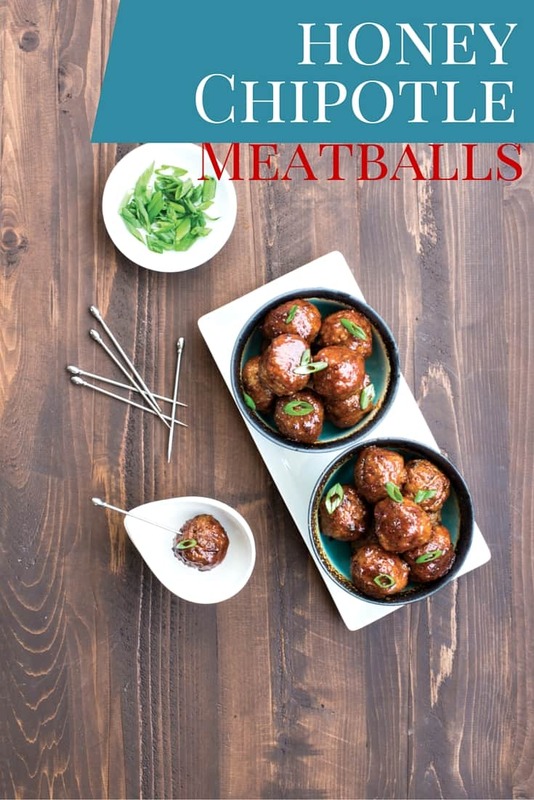 Amy has kindly let me share her amazing recpe for Honey Chipotle Meatballs so you can get a taste of what is in store when you buy her cookbook. One lucky person has a chance to win a copy of their own. Enter below! Make the meatballs: In a medium-sized mixing bowl, mix the ground beef and pork, onion, garlic, egg, salt, and pepper with your hands until just combined. Form the mixture into meatballs 1½ inches in diameter. Melt the ghee in a large oven-safe skillet over medium-high heat. Add the meatballs and cook for 5 minutes, turning frequently, until browned on all sides. Transfer the skillet to the oven and bake for 18 to 20 minutes, until the meatballs are cooked through. While the meatballs are cooking, make the sauce: Place all of the sauce ingredients in a medium saucepan over medium-high heat and whisk to combine. Bring just to a boil, then reduce the heat to low and simmer for 3 to 5 minutes, until the sauce has thickened, stirring occasionally. Taste and add additional chipotle powder or dry mustard if desired. Once the meatballs are done cooking, use a slotted spoon to transfer them to the pan with the sauce and toss to coat. Sprinkle with chopped green onion, if desired, and serve. I am going to try the honey chipotle meatballs! Mmm…Swedish meatballs! I’ve never tried to make them because they’re a little intimidating, but I’d love to try! Sounds delish. The Chipotle Shrimp Tacos sounds so delicious. It would be a toss up between them and the Honey Chipotle meatballs…they both sound yummy. 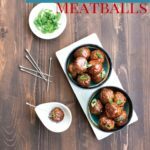 Im dying to try these sweet and savory meatballs! They sound Fab! I am excited to dive into the world of Pales cooking!!! I love different flavours of healthy food. That looks delicious! I also love the metal toothpicks… looks so elegant. Oo looks good! I think my family will love these. Can’t wait to try! The one you made got my attention, so I know I’d make that one. But after looking, one of the first I’d make is Moroccan Chicken.